DON’T JUST DREAM ABOUT A JEWISH FUTURE – CREATE IT! 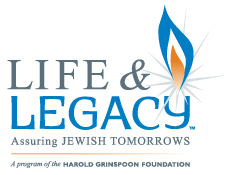 LIFE & LEGACY,a signature program of the Harold Grinspoon Foundation, is a program to help ensure Jewish tomorrows. In 2016, Temple Beth Or was chosen, along with 12 other local participating organizations by the Jewish Federation of Greater Seattle to participate in this program. 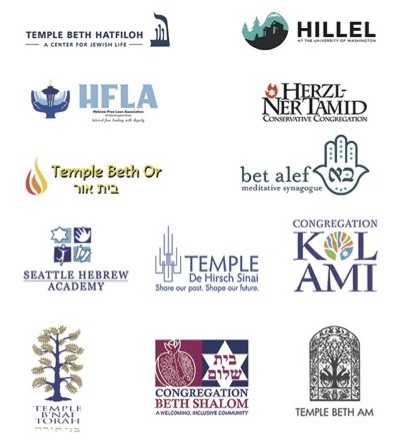 Last June Temple Beth Or received a $7,500 financial grant from the Grinspoon Foundation and Jewish Federation of Greater Seattle for reaching the goal of securing 18 legacy gift pledges. Thanks, the generosity of Harold Grinspoon Foundation and Jewish Federation of Greater Seattle we have the opportunity to participate for another year. We are pleased that to date 29 individuals and families made an investment in our Temple Beth Or Family. Please consider joining them. Our goal this year is to reach 25 applications in order to secure a $10,000 financial grant. Everyone, regardless of age, wealth or affiliation has the ability to leave a legacy and the Life & Legacy process is very easy. It all starts with a conversation with a committee member and they will be happy to share the process with you. Make a bequest to Temple Beth Or in your Will. The letter of intent is not a legal obligation and may be changed or modified at any time at your discretion. You do not need to know the giving vehicle or amount of your legacy commitment when you complete the letter. You have up to a full year in which to formalize your intent. If you have already named Temple Beth Or as a beneficiary, please let us know, as you are already a LIFE & LEGACY donor. If not, please consider becoming a LIFE & LEGACY donor by contacting the Temple Office. Thank you for your continued support of Temple Beth Or, now and for the future. I found a fruitful world, because my ancestors planted it for me. Likewise, I am planting for future generations.